Have you been reading or hearing the word Umami a lot lately? I have, and no, it does not mean an asian vegetable, fish or any other kind of food. It is the “fifth taste”, say many food writers; to be added to salty, sweet, acidic and bitter. Umami is a rich deep flavor such as that of cooked mushrooms, for example, or aged cheese. There is lots of umami in this dish what with the mushrooms, tamari and sesame oil. The dish goes together very quickly, once you have the vegetables sliced and ready. 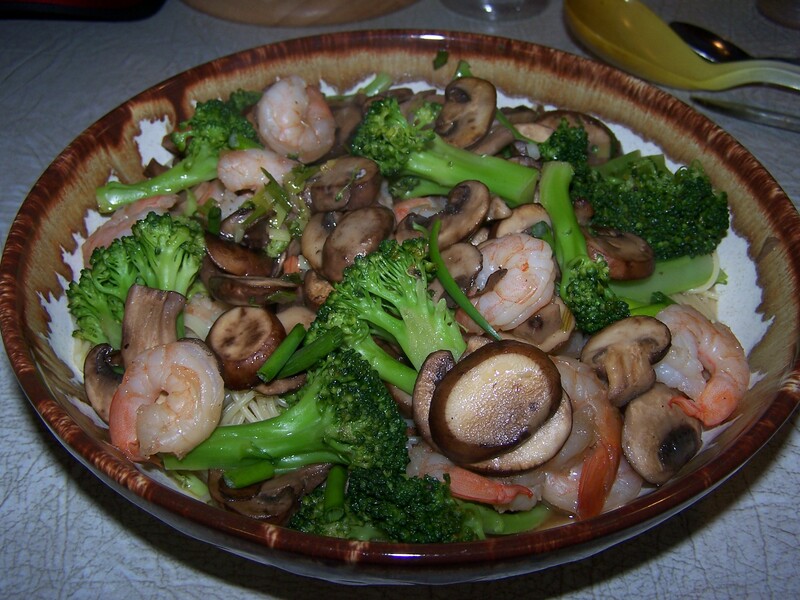 Purchase precooked shrimp from the market, and save even more time. Bring a large pot of water to boil. Salt lightly and add raw broccoli. Cook broccoli florets to crisp tender and remove with a skimmer to a plate. Use the same water, and cook noodles as package directs. As pictured here, I used Angel Hair pasta, but any thin pasta will do fine. 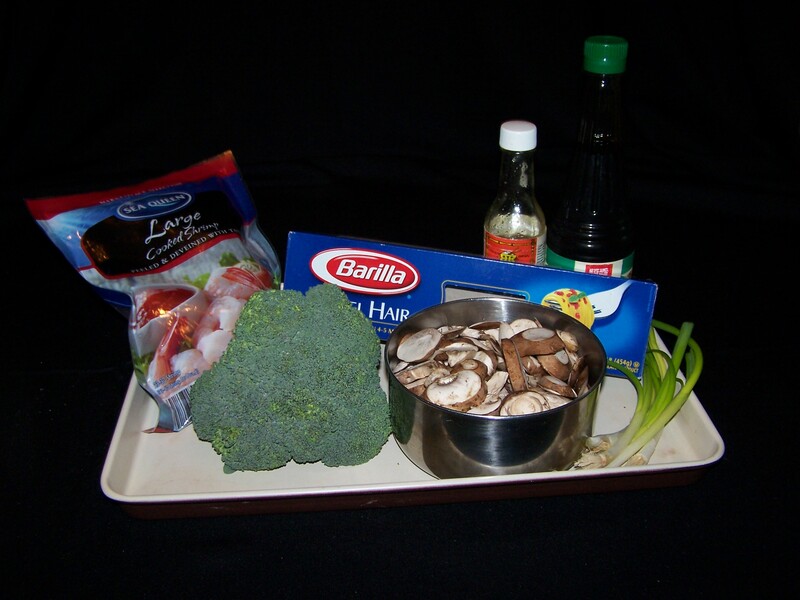 While broccoli and pasta are cooking, heat 2 tablespoons vegetable oil in a wok or large shallow skillet, over high heat. 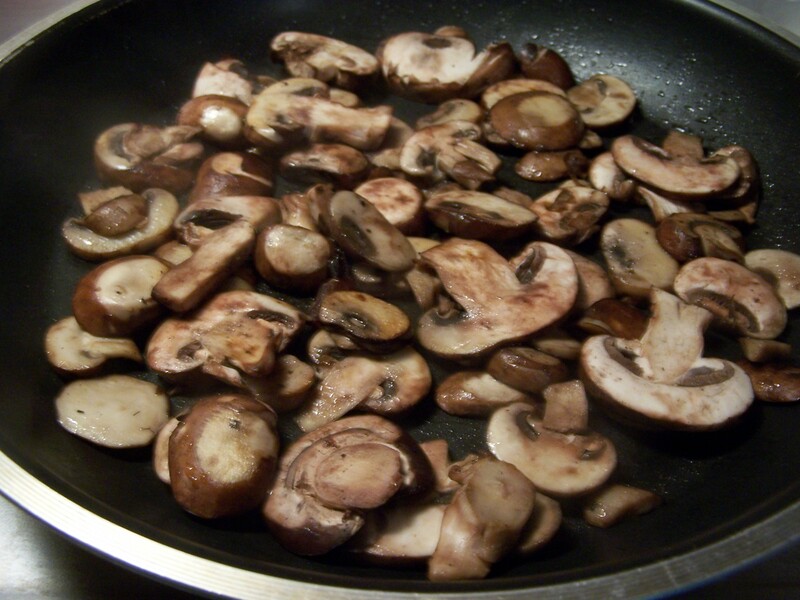 Add the mushrooms, stir-fry until lightly browned, about 3 minutes. Transfer mushrooms to a plate. Add more oil to pan, if needed. Add the green onions, and stir-fry 1 minute. Add the 1/2 cup chicken broth, tamari, sesame oil and pepper to taste. Heat to boil. 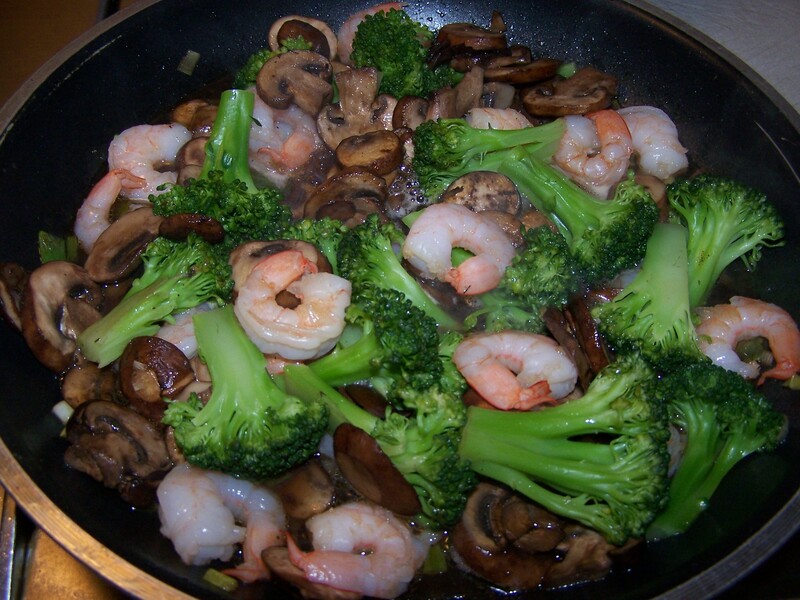 Stir in 1/2 pound cooked shrimp and cooked broccoli, and reserved mushrooms. Drain noodles, and serve with shrimp and vegetable mixture over the top. Adapted by Carolyn from a newspaper article.